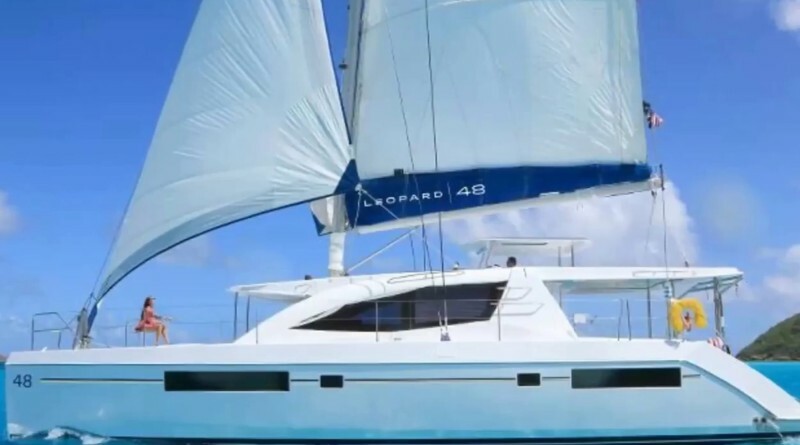 Our brand new 48” luxury Catamaran is registered to carry up to 45 guests. We specialise in Corporate Events, Client Entertaining and Private Parties. We are fully licensed and can provide on-board gourmet catering. 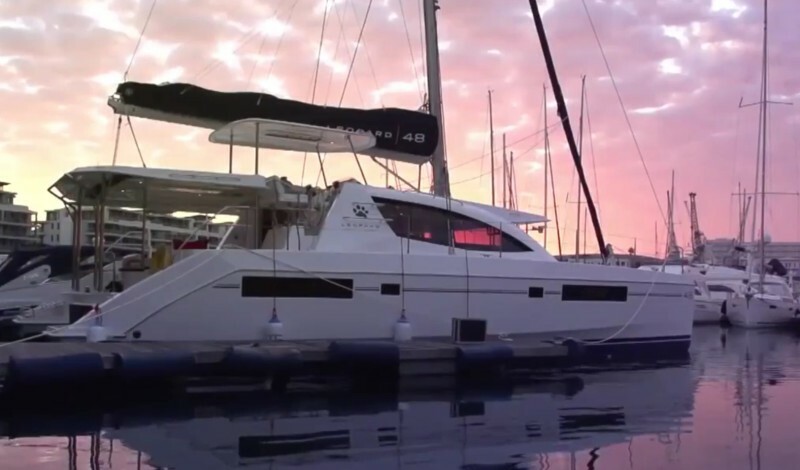 Book a yacht charter and celebrate with a function on board, cruising around Victoria Harbour, down the Yarra River to Williamstown and out into Port Phillip Bay. 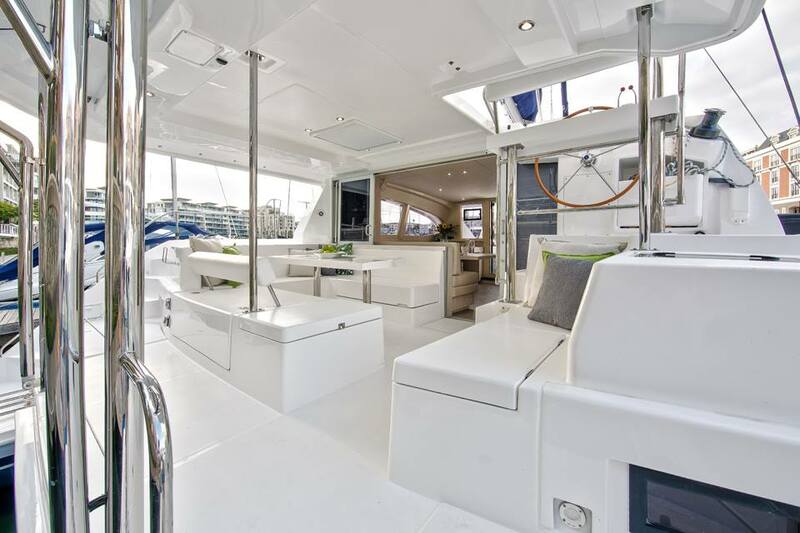 This gorgeous new Catamaran has 2 outside seating areas. 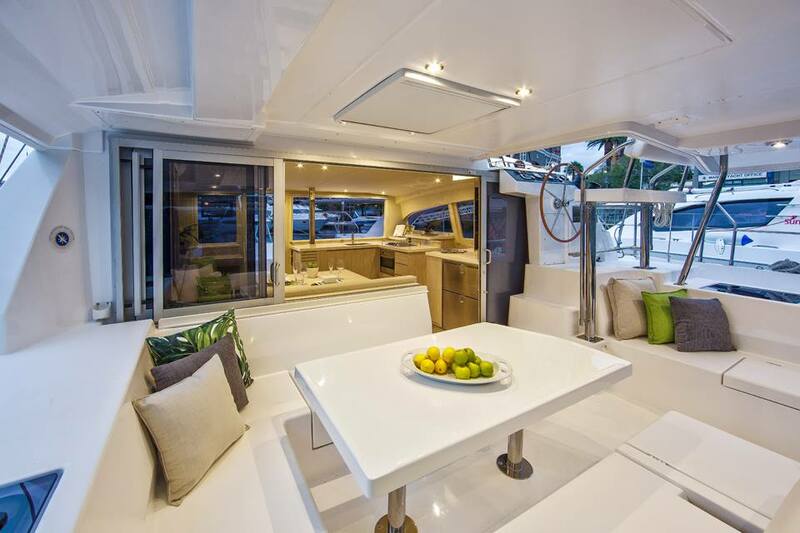 The Aft Cockpit has a Dining area, seating up to 12 with other seating, including a lounge. The F’wd Cockpit has relaxing seating and side tables. There are extensive deck areas with trampolines on which to chill out. 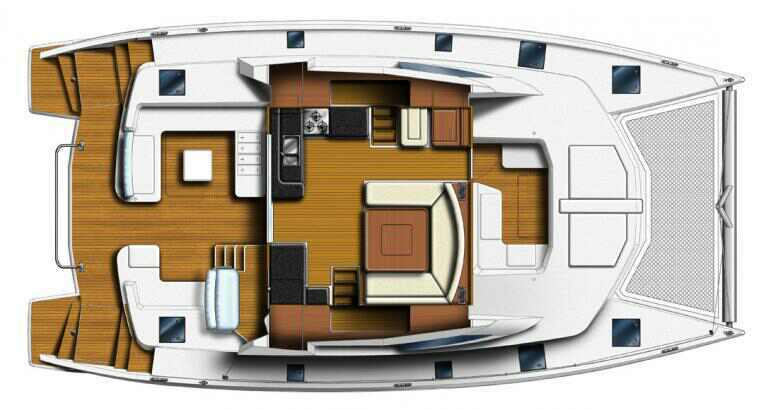 There is large inside saloon with comfortable lounges around a Dining or Coffee Table. 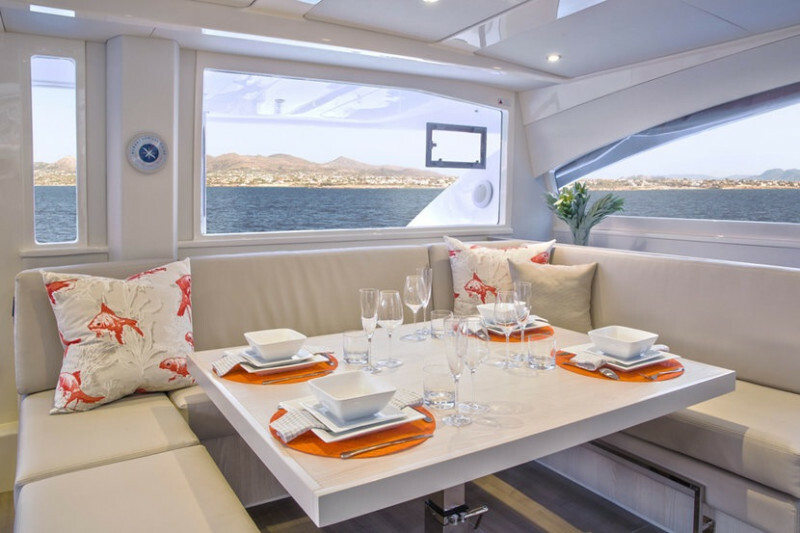 It has panoramic windows, LCD TV with DVD and a serving Bar. We are happy for our guests to provide their own music that we can connect to our sound system. No stair climbing is required to move from the Aft Cockpit through the Saloon to the Fwd Cockpit. It’s all on one level. There are easily accessible rest rooms. On a beautiful Spring or Summer day, guests are able to relax on the decks or trampolines lounging on comfortable cushions. Weather is not a problem as there are clears to stop wind and rain while still being able to enjoy the sights. 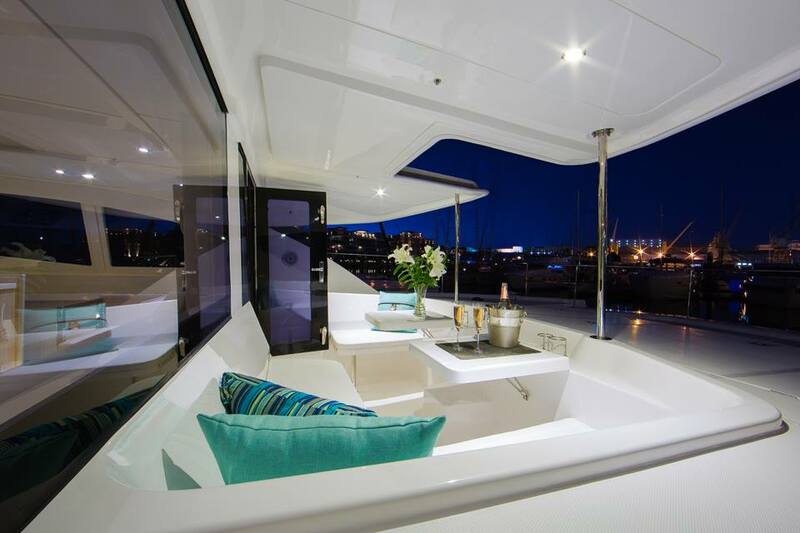 This beautifully designed yacht is crafted to the highest standards. She has a stable and smooth ride, with no heeling over. A relaxed atmosphere, to be enjoyed by all! The Skipper is happy for guests to join him at the Helm Station and sail the Catamaran. We have a Full Liquor Licence and Waiters serve all Beverages and Platters. Please get back to me and I can email further information and prices regarding the Menus & Beverages. We request Guests not wear black rubber soled shoes. High Heels are stored on board for Health and Safety reasons. Bare feet and light soled shoes or thongs are fine. We have a really relaxed atmosphere on board.